SW 8/1200's CP, CPR, CN, CNR TH&B, BC Hydro - Limited Availability! Dear Customers: Approx. 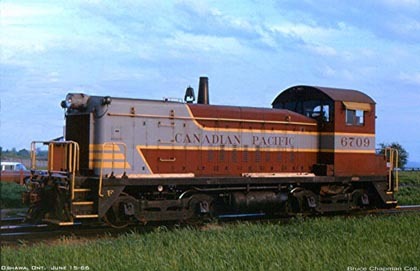 5-6 years ago Lifelike Canada made 4 different runs of SW 9/1200 switchers. All of the engines from the first two runs sold out almost immediately. We were suprised resently when we discovered one of our suppliers had a small quantity of the engines from the first and second runs! We grabbed all of the engines we could get. We have a limited number of each of the engines listed below. Orders will be filled on a first come basis. There is less than 10 of each available. We know a significant number of our customers, have asked for these units in the past and were turned down as not being available. So check your road numbers. Here's your last chance to get the road numbers you missed.